Your hair says a lot about you. It is what keeps you in style and at the same time can set you apart. If you are looking to add a splash of bright colour or volume to your tresses, then hair extensions are what you are looking for. They are the most simple and easy way to have beautiful hair. Our certified hairdresser at Seka's Beauty Case @101 Darley Beauty Collective prides herself on her extended experience and knowledge of the industry. At the Salon we believe in the product and know how important it is to have beautiful hair. 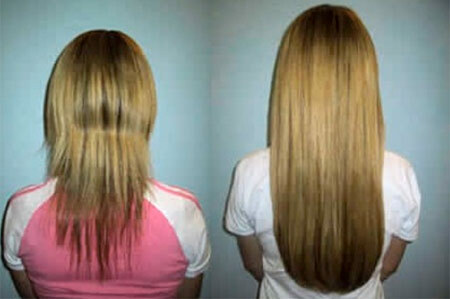 This is the reason why we are proof of our own pre-taped Hair Extensions, we love wearing our hair extensions. The application of tape hair extensions is fast and the result is seamless and once we have applied your tape hair extensions you can forget all about them for the next 3-4 months. We believe our services and products will impress due to their quality and affordability, hence why our many repeat clients come to us because they love our hair and professional customised service. 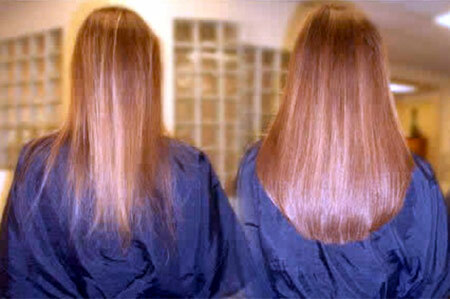 Our professional hairdresser has been working with pre-taped hair extensions for over 5 years. On the day of the consult (free of charge) we will colour match your hair to ensure your hair extensions match your natural colour, it may require that you will need a colour put through your natural hair to obtain the PERFECT colour match but this will be determined and discussed on the day of the consult. On the day of the consult you will leave the salon feeling 100% confident that your hair extensions will look and feel natural and that you can trust Seka's Beauty Case @101 Darley Beauty Collective with your hair. 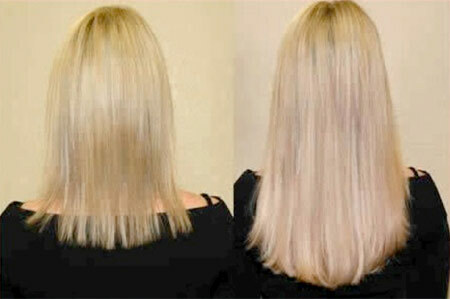 Our goal is that once you have had your extensions applied you will forget that you are wearing them. Pre-Taped Hair Extensions are now the fastest selling and most popular hair extension method from hair extension technology innovators. Seka's Beauty Case @101 Darley Beauty Collective have worked tirelessly to help bring you the absolute best and most advanced hair extension application methods in the world as well as the softest, silkest hair at an affordable price. Almost completely undetectable, the pre-taped hair extension method will leave your scalp feeling so smooth that even if someone runs their hands down your head, they will not be able to detect that you have hair extensions attached. People will never know your wearing extensions - Thicken hair in moments - Excellent for attaching close to partings - create highlights and fun fashion effects using 2 different colours. An attached double sided adhesive makes Pre-Tape very fast to apply with the benefit of being extremely flat and comfortable to wear. Our qualified hairdresser places 2 extensions together while leaving a very fine section of natural hair in between them and press. Pre Tape is the perfect choice for people with finer hair that wish to increase volume. Your new Seka's Beauty Case @101 Darley Beauty Collective extensions are applied in approximately 1 hour! 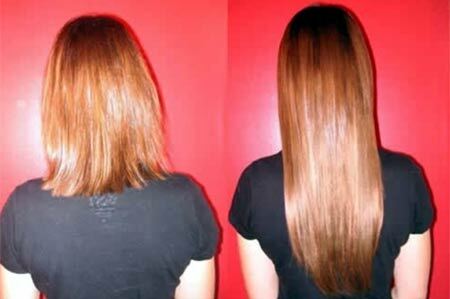 MAINTENANCE on your hair extensions is necessary every 3 months – 4months. This can vary depending on your hair growth. As your hair grows, your extensions will move down with the hair growth. The Pre-taped and hair extensions are moved up and repositioned closer to the scalp, to keep them in good condition and looking natural. The hair used by Seka's Beauty Case @101 Darley Beauty Collective is 100% of the highest grade human hair, blending effortlessly for a stunning, natural look. Our human hair extensions are sourced from an Extensive Overseas Market, the quality is exceptional. Seka's Beauty Case @101 Darley Beauty Collective offers only the finest European Remy hair extensions, which are without question the highest and most popular grades of hair. One of the highest quality hair is European Remy which is some of the finest and most beautiful human hair in the world with all cuticles in the same direction. If the cuticles scales are not facing the same direction, hair will interlock like Velcro, this will lead to tangled/damaged hair. Cheaper hair is very often placed in an acid bath, which completely destroys the cuticle. To restore the shine this hair is covered with a silicon layer. It looks beautiful but after a few washes the silicon is removed and the hair matts, tangles and becomes dry. European human hair does not necessarily come from Europe. It is a group name for different hair with an almost similar structure. Typical European human hair is relatively thin and has an oval cross section. This is a popular hair type for a human hair extension. The human hair is meticulously selected from the finest Remy human hair available. Each batch is specifically chosen for the desired qualities of European like softness and density. All the short hairs are painstakingly removed to only leave the wanted lengths then sorted cleaned and coloured by hand not machine, maintaining the precious luster and texture throughout each distinctive process to finish with a beautiful - luxurious - free swing human hair. Continuous research and development keeps the brand at the top, so Seka's Beauty Case @101 Darley Beauty Collective will impresses with its easy maintenance, and stunning results with our hair extensions. Our optimum product ranges are first class all the way, offering an impressive 35 colours in contemporary fashion shades. All hair extension pieces are at least 45cm (18"”) , 48cm (20"”) to 50 cm (22"’) in length, which enables us to cut your hair to your desired length, shape and style. This hair is amazing, you will not be disappointed! We can also recommend many products to extend the life of your hair extensions, keeping them silky smooth and extremely manageable and also affordable. The majority of hair sold today is non-cuticle hair, which is less expensive. So if you want to spend less money on your hair extension the hair will start matting, tangling and become dry after just a few washes. You can be assured all our hair is Remy/cuticle correct. Have the beautiful healthy hair you have always wanted today! You will love your new Hair Extensions and so will everyone else! Once you try taped hair you will never go back! There are different grades of Indian hair and it can be very inconsistent in quality like being that of a young child’s with little environmental damage, or being hair from an older person with a little more coarseness to the hair caused by age and environment. There are no regulations in the hair distribution industry, so you need to ensure you are buying good quality hair that you will be wearing. 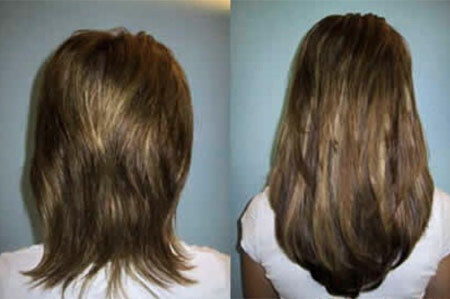 Full payment is required on the day of the consult if you choose to order our hair extensions. All consultations are complimentary (free of charge) and are performed at Seka's Beauty Case @101 Darley Beauty Collective. Mobile surcharge of $20.00 + tolls apply. Client must shampoo TWICE to remove all residues of sprays, styling products and natural oils. DO NOT use any other products before applying hair extensions. It is critical that the Extension Tapes have a clean, prepared surface to adhere to. Ensure the hair is 100% dry. Hair extensions are designed to stay in place for approximately 3 months, after this time care and maintenance becomes more difficult and problems may become evident. 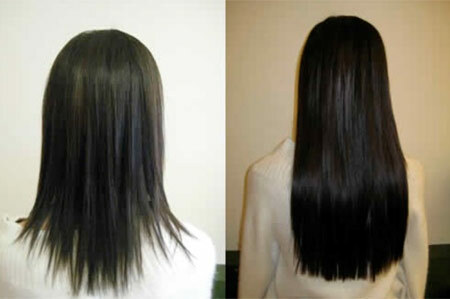 It is recommended hair extensions are removed and re-adjusted after 3 months. The re-adjusting is performed by removing the existing extension then applying new tape to the existing hair extension then re-applying the hair extensions to your natural hair. The human head sheds approximately 100 hairs a day. Usually that hair will fall free and goes somewhat unnoticed but since your hair extensions are holding your hair, you can expect to see the normal quantity of naturally released hairs trapped in the attachments. This is completely normal and should NOT be interpreted as hair loss caused by the extensions. Activities that result in a constant damp environment, such as regular saunas swimming can lessen the life of the attachments. Try to dry the bands as quickly as possible after these activities. Use a good quality salon shampoo and conditioner. Do not shampoo the hair for the first 24 hours, as it takes this long for the tape to completely adhere to the natural hair. Tilt our head back and shampoo form the top of the head down. Avoid over washing the extensions to ensure the life of the tape. Pay special attention to the scalp as it takes a little more time to properly remove oil build-up with extensions in place. Condition and detangle from the mid ends down avoiding the scalp, do not dry hair with a rubbing motion, gently wrap the hair in a towel to squeeze out moisture. Do not use products that contain alcohol or sulphur, such as dandruff shampoos. Do not use protein enriched shampoos/conditioners or treatments as this will cause tangling. Always use a leave in conditioner/moisturiser and a smoothing/shine serum avoiding the pre-tapes (bonds). Swimming can wreck havoc on anyone’s hair, but by taking a few simple pre-cautions you can extend the quality of your hair extensions. Always use a leave in conditioner prior to swimming in salt or chlorinated water, from mid lengths down, and plait the hair to stop it from tangling. Rinse your entire head with fresh water after swimming. Brush with a Wild-cat brush from the nape of the neck inwards. Detangle the hair with a wide toothed comb or brush, support the hair with one hand, to avoid too much tensions being placed on the attachment points, and work up. Do not attempt to comb between the bonds and the scalp. Plait the hair in two plaits or pull it back into a loose bun at the top of the head to avoid tangling whist sleeping. Always sleep on a silk pillow-case to prevent the hair from tangling and keeping the hair silky soft. DO NOT SLEEP ON WET HAIR. You can treat your extensions like your own hair it can be curled, straightened but be sure to keep all hot appliances away from the bonds. Bio Ionic haircare products contain Natural Ion Complex. (a blend of 32 natural-occurring minerals) that emits Natural Negative Ions in to the hair. Natural Negative Ion energy is powerful enough to break down clusters of water molecules into fine particles that penetrate the hair shaft, to re-hydrate, re-condition and restore moisture balance. After using the Bio Ionic product system, hair feels smooth, super-soft and looks silky-shiny.